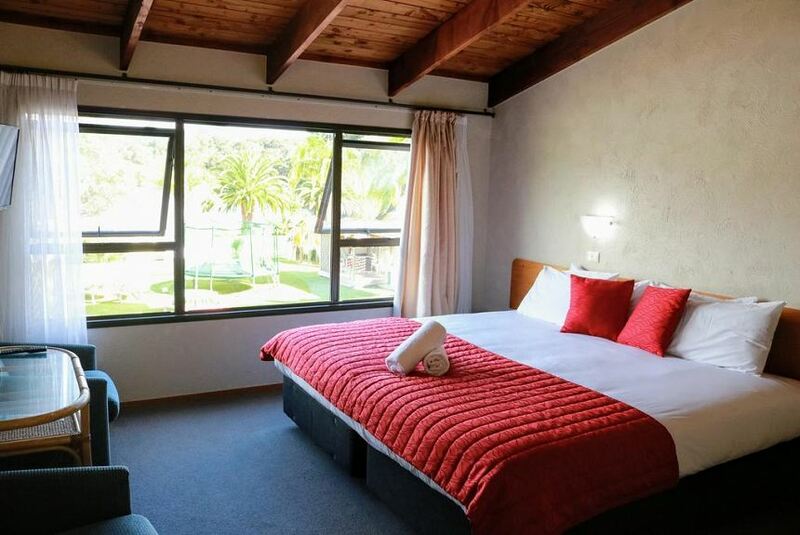 Situated on the Waitangi River with spectacular views of Haruru Falls, this family friendly resort features a swimming pool and children’s playground. Each room at Haruru Falls Resort features a refrigerator, coffee/tea making facilities and a private bathroom. There is a TV in every room. Haruru Falls Resort Bay of Islands is set on lush green lawns with palm trees, outdoor tables and giant chess board. Guests have access to a boat ramp, kayak rentals and walking trails. Haruru Falls Resort is a 5-minute drive from Waitangi Treaty Grounds. Paihia town centre is only 3 km away.